Survey results show that while most primary care physicians expressed confidence in their ability to identify potential cases of Ebola and communicate Ebola risks to their patients, only 50 to 70 percent of them gave answers that fit with CDC guidelines when asked how they would care for hypothetical patients who might have been exposed to Ebola. Designed to assess how well primary care physicians across the country were prepared to handle potential Ebola risk, the survey was emailed to more than 460 internists and geriatricians early in December 2014 and remained available until mid-January 2015. The 23 questions assessed the likelihood that providers might see patients at risk for Ebola and asked them to assess their own risk of exposure, how well prepared they felt to identify possible cases or inform patients about Ebola risks, their sources of information about Ebola, whether their institutions had developed protocols for Ebola diagnosis and treatment, and other factors. Those care providers who thought they were least likely to encounter an Ebola patient – based on their location and characteristics of their patients – were most likely to choose overly intense management of patients actually at low risk. The results of the survey, conducted by a team of Massachusetts General Hospital (MGH) investigators, have been published online in the Journal of General Internal Medicine. Ganguli and her colleagues note that, while only four cases of Ebola were diagnosed in the U.S. during the recent outbreak in West Africa, the extensive attention given to the dangerous disease by both the news media and governmental entities led to such inappropriate measures as the quarantining of health workers returning from international relief efforts – even though their lack of symptoms indicated they were not infectious – or restricting contact with individuals who had traveled to Ebola-free areas of Africa. Physicians also over-reacted, with 75 percent of the calls they made to the CDC being about patients with no risk of having contracted Ebola. Respondents also were asked what measures they would take if consulted by patients who had returned from Ebola containment efforts in Sierra Leone either 10 or 28 days earlier or who worked in a hospital where an Ebola patient with whom they had no contact was receiving care. Another question asked them to indicate whether patients with flu-like symptoms and meeting other criteria, including volunteering in an Ebola treatment center or visiting South Africa, were more likely to have influenza or Ebola. In all of the described situations, the hypothetical patients had little and often no likelihood of having been exposed to Ebola. 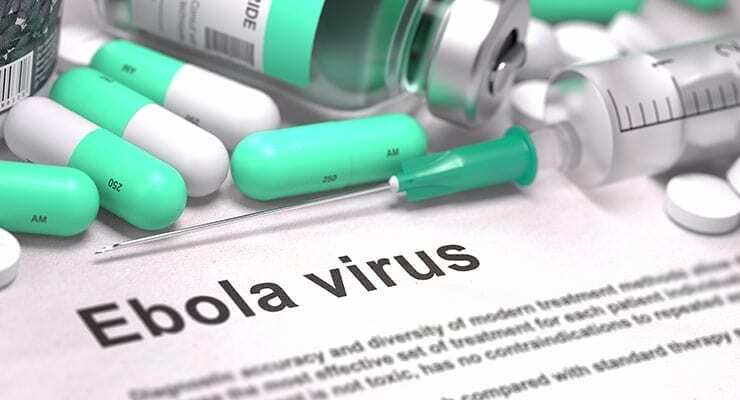 Among the 202 primary care physicians who responded to the survey, 95 percent felt very prepared or somewhat prepared to identify a possible case of Ebola and 97 percent felt very or somewhat prepared to inform patients about Ebola risk. But their actual knowledge about how concerns about Ebola should affect their management of specific patients showed considerable variation. For example, when asked about a patient with flu-like symptoms who had recently returned from South Africa, 24 percent indicated that Ebola was the more likely cause, even though there have been no cases of Ebola in that country. In their responses to questions that related to the transmission risks or incubation period of Ebola, 20 percent said they would have chosen management approaches that were overly intense. Those responses varied depending on the actual likelihood of a physician’s encountering an Ebola patient, with 3 percent those most likely to see such patients choosing excessive management while 23 percent of those with no possibility of seeing an Ebola patient taking an overly intense approach. “It could be that those not working in areas where they might encounter Ebola received less information from their institutions or local government sources, making them more fearful of the disease and more aggressive in evaluating potential cases,” says Ganguli. “While 88 percent did report having consulted the CDC guidelines on Ebola at least once during the preceding year – and the CDC was the most commonly cited source of information – our results suggest the need to provide additional resources, like decision support hot lines. “Our results also suggest that physicians may be swayed by media reports on outbreaks like Ebola, placing even greater importance on responsible reporting by news media,” she adds. “It would be interesting to investigate the reasons why some doctors would decide to test low-risk patients for Ebola or send them to the hospital and to determine the real impact of misplaced concern about Ebola in terms of both resource allocation and delayed diagnosis of a patient’s real illness.” Ganguli is an instructor in Medicine at Harvard Medical School and a fellow in Health Policy and Management at the Massachusetts General Physicians Organization. The co-authors of the Journal of General Internal Medicine paper are Yuchiao Chang, PhD, Katrina Armstrong, MD, and Joshua P. Metlay, MD, PhD, MGH Department of Medicine; and Arlene Weissman PhD, American College of Physicians.